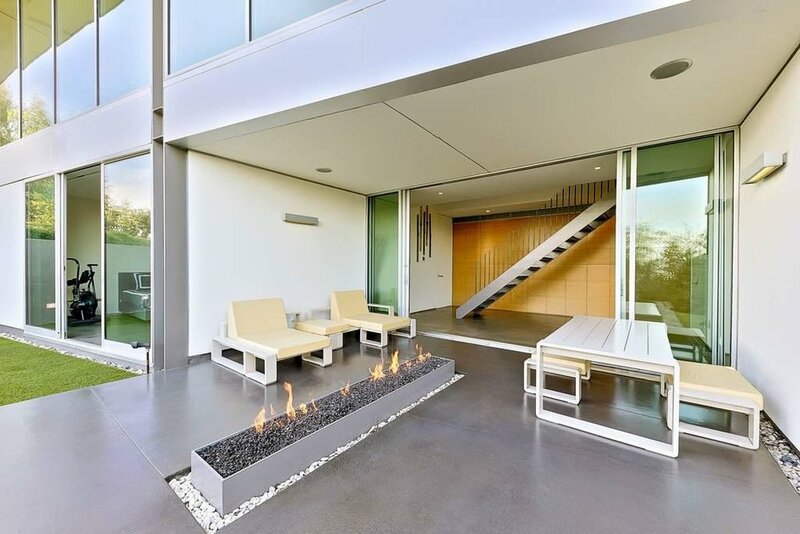 This stunning Beverly Hills Home is a fully-automated, meticulously designed and executed from its steel construction to the relationships between structure and elements, home and statement. The exterior’s futuristic yet timeless "fin" design controls light and shade creating a prism effect. 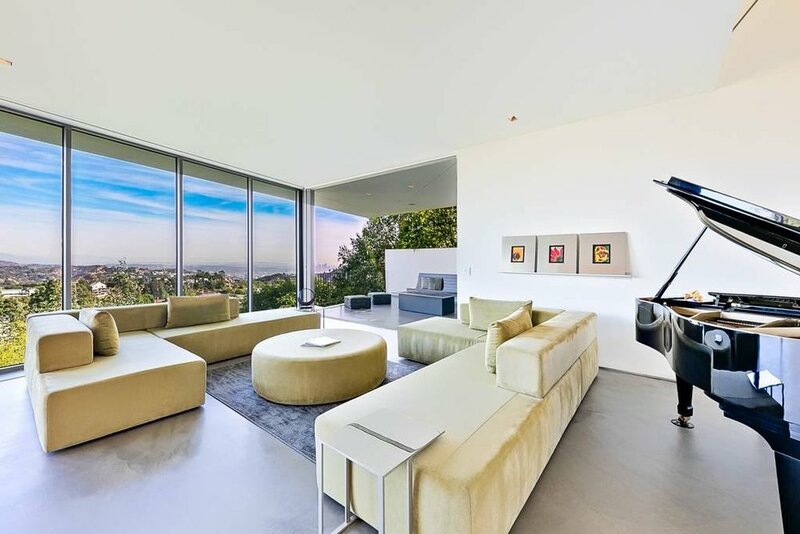 On the main level, the living room, dining room and kitchen seamlessly connect to defy gravity, floating above spectacular views of Los Angeles and beyond. The master wing features dual baths, dual closets, a media room, a bar, and an office. There are two more bedroom suites which open to the entertainer's backyard with patio and infinity spa. 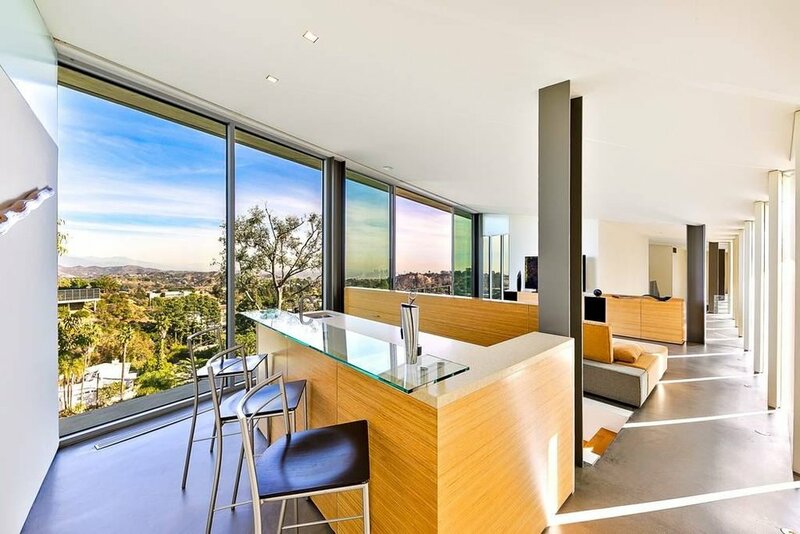 Fleetwood window systems offer incredible views and sceneries from every room. 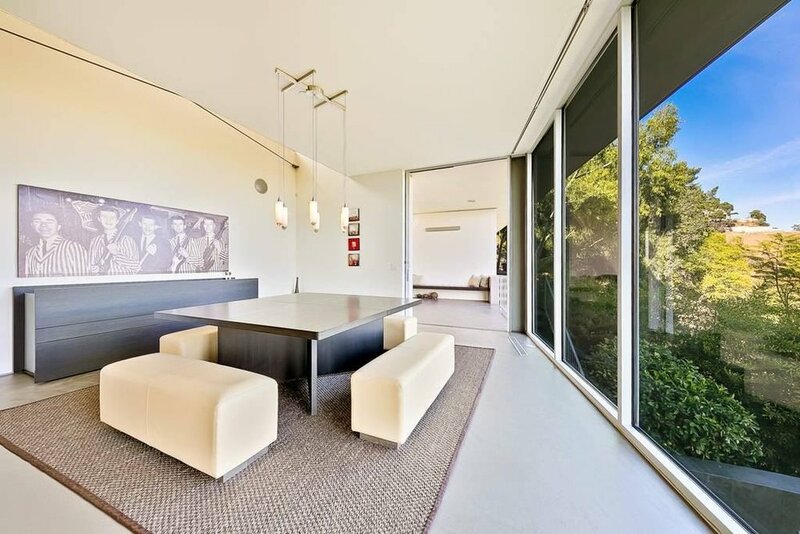 Used in many commercials, this gorgeous Beverly Hills house is available for your next film or television production. Contact the location today!